Community Care's Income Tax volunteers are preparing for the 2017 tax season. 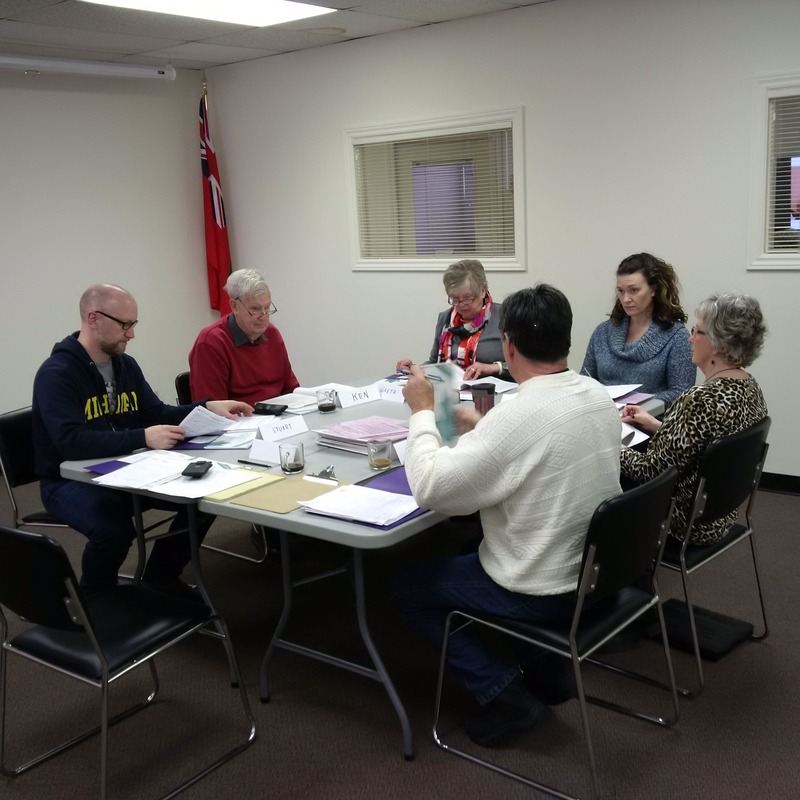 Prince Edward Community Care is gearing up for another season of completing income tax returns for seniors who live in Prince Edward County. If you are a senior 60+ whose single income is $30,000 or lower or whose household income is $40,000 or lower, you may be eligible for the program. 2017 marks 35 years that Prince Edward Community Care has been involved in the Canada Revenue Agency (CRA) "Community Volunteer Income Tax Program". Community Care volunteers receive training by CRA to complete Income Tax Returns for eligible clients. Volunteers do not complete income tax and benefit returns for: deceased persons, bankrupt individuals; for those with more than $1000 of investment income; for individuals with capital gains/losses; or for people with business or rental income and expenses. There is no charge, donations are accepted. Home visits can be arranged for seniors who are shut-in. Income Tax papers will be accepted by Community Care at their office located at 74A King Street in Picton beginning on March 1st and not before. People are asked to bring along all required documents as well as a copy of their 2015 tax return. The Ontario Energy Support Program (OESP) provides help for people who struggle to pay their hydro bills. Community Care staff will provide support to low-income seniors age 60 and over who meet the eligibility criteria. An eligible household ($28,000 or less for one or two people) can receive between $30-$50 monthly credit on their hydro bill. Seniors 60+ are invited to contact the staff at Prince Edward Community Care to get answers to questions and help to submit the OESP application. More information can be found at OntarioElectricitySupport.ca. Low income singles and families can contact the Prince Edward Learning Centre at 613-476-1811 for assistance with both the OESP and Income Tax preparation. The Prince Edward County Community Care for Seniors Association offers services such as Meals on Wheels, transportation to medical appointments, noon-time dinners for seniors, foot care, help with forms (including Income Tax), respite, home maintenance, rural route reassurance and telephone reassurance programs. The agency is partly funded by the Ministry of Health & Long-Term Care through the Local Health Integration Network and supported by donations and community fundraising efforts, such as Community Care's Thrift Shop at 153 Main Street. The Community Care office is located at 74 King Street in Picton.